We did the Reverse Adi Shakti kriya – a short ‘n’ sweet set that blesses you with self love – in France with Amrit Nam Sarovar last year. 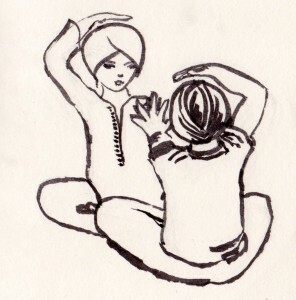 But Kartar Singh put a cheeky spin on it as he is wont to do, and taught it as partner yoga. When I came home from the ashram in France, I practiced 40 days of the Reverse Adi Shakti Kriya with Nish. It was a real gift, giving us 20 minutes every morning to really connect. I felt it gave us a renewed sense of respect and compassion towards each other. There are three parts of the Reverse Adi Shakti Kriya. For the first exercise, hold your right palm 6-9 inches above your crown. Press your left palm against your partner’s. Your left arm will be straight or almost straight – as you bless yourself and your partner (11 minutes). For the second exercise, rest your hands gently on their shoulders. Your arms are straight, and your knees need to be snuggled up nice and close to your partner’s if they’re not already. Here, you bless your partner (3 minutes). 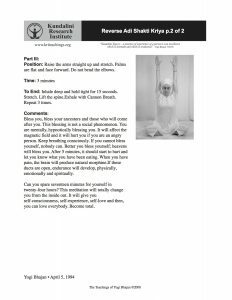 For the third exercise, your arms are raised straight up above your head, palms facing each other. In this posture, you bless the universe (3 minutes). Your breath is deep and steady throughout. 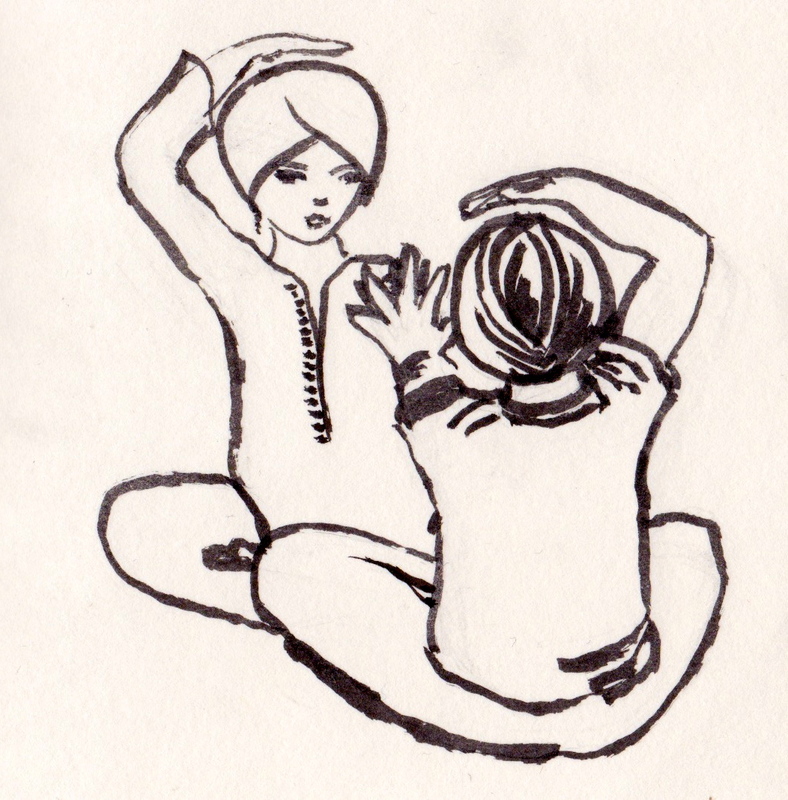 We chose to gaze into each other’s eyes for the duration, which is how Kartar Singh taught it. But of course you can have your eyes closed and you’ll feel equally as loved up afterwards. This kriya really is just gorgeous.